SYNCHRO|T tapping chucks compensate for pitch differences of the tap and the synchronous spindle, as well as for the thread tolerances of the tap, and provide for a cushioning effect between the tool and the spindle during synchronised tapping (rigid tapping) on processing centres with synchronous spindles. With more than 40 different shaft forms (DIN 69871 AD/B SK40 and SK50, DIN 69893/ISO 12164 HSK A40 to A100, MAS/BT JIS B 6339 AD/B SK40 and SK50 and cylindrical shafts Ø 20, 25 and 32 mm) we offer a broad range of versions. 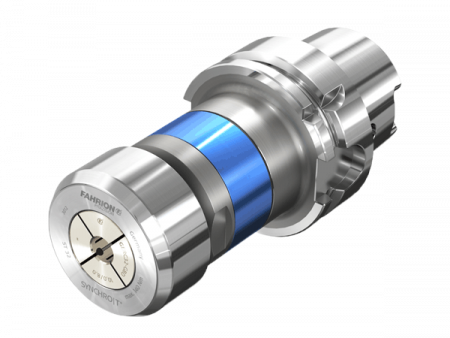 Thanks to the outstanding product properties, drill service lives are prolonged and machine down time is reduced, just to mention a couple of the advantages that you gain. And what do you and your company gain? These are the benefits to you. 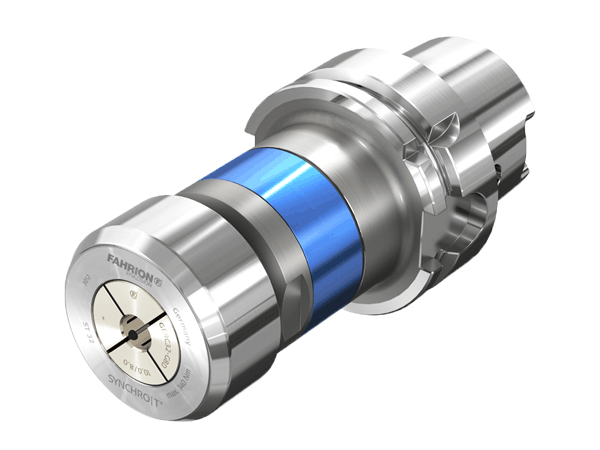 In order to achieve the optimum cutting result, the FAHRION tapping chucks SYNCHRO|T should be used on machines with synchronous spindles, despite use of the latest controllers for the extension of service life and improvement of quality.